Before coming to Bolivia I had never even heard of Sucre. 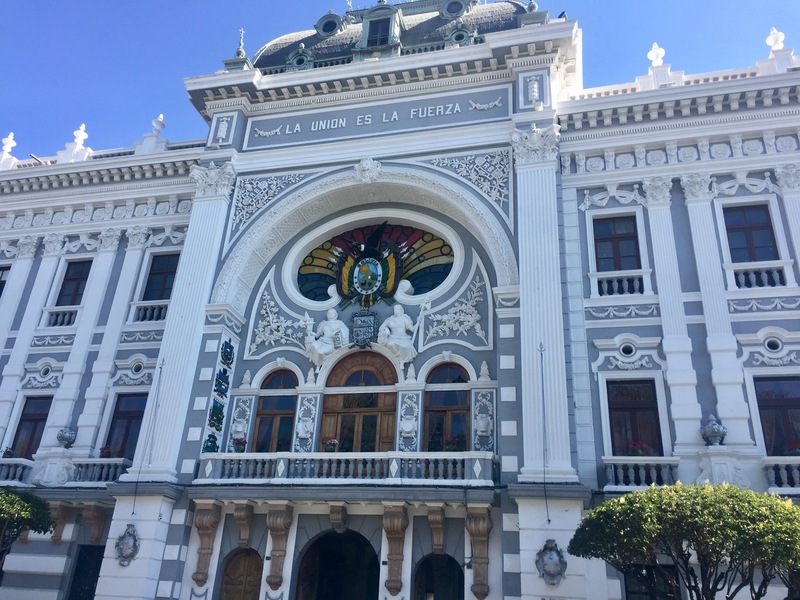 I thought La Paz was the undisputed capital of Bolivia and when I heard people talking about the city I thought it must just be another popular place tourists visited. I decided to add it to my itinerary just because of that and I choose a hostel from Hostelworld without much thought. I even managed to fly there because the last minute flights were so cheap. Little did I know that Sucre would turn out to be my favourite city in the country and one of my favourite cities from my entire trip so far. 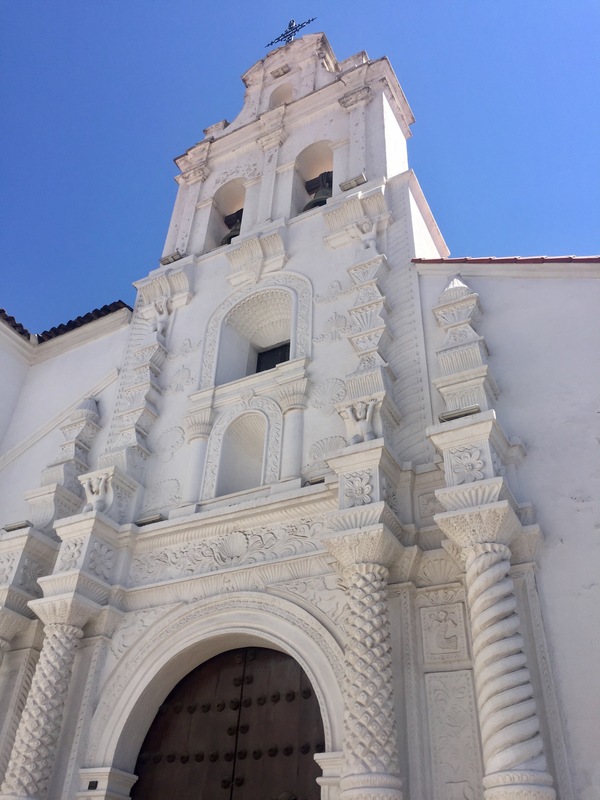 When I look back on my time in the charming city, it’s hard to pinpoint what it was I enjoyed so much about it – I only visited one museum in the five days I was there, the food wasn’t anything special to talk about, I didn’t do any exciting day trips and even the walking tour I paid for wasn’t that good. 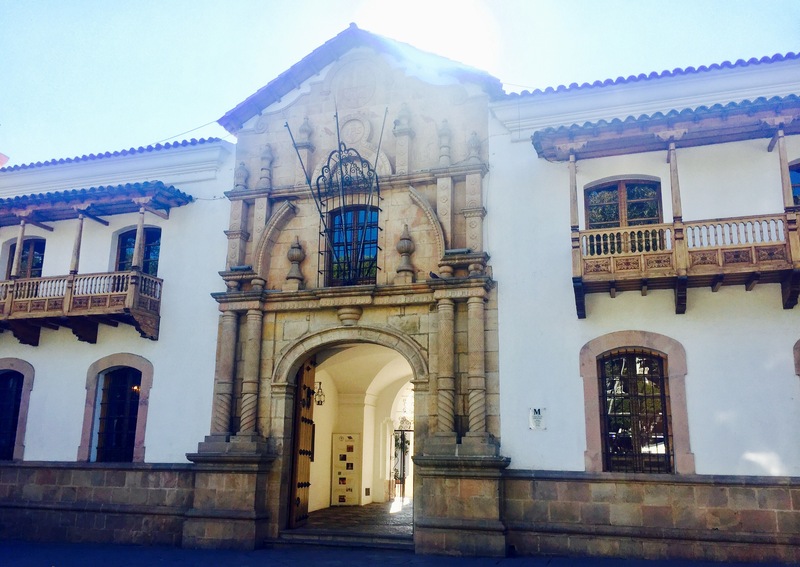 What I really liked about Sucre was the relaxed, sunny atmosphere and the heritage of the city reflected in the architecture. Although not a huge city centre, it had a calm and welcoming feeling that you’d expect to find in a European city. The people are used to having tourists wandering around and our activities don’t disturb their daily lives. I felt perfectly safe strolling around the city, sitting about in parks reading on my Kindle, getting juice in the market and catching the local buses (they only cost 15p!). 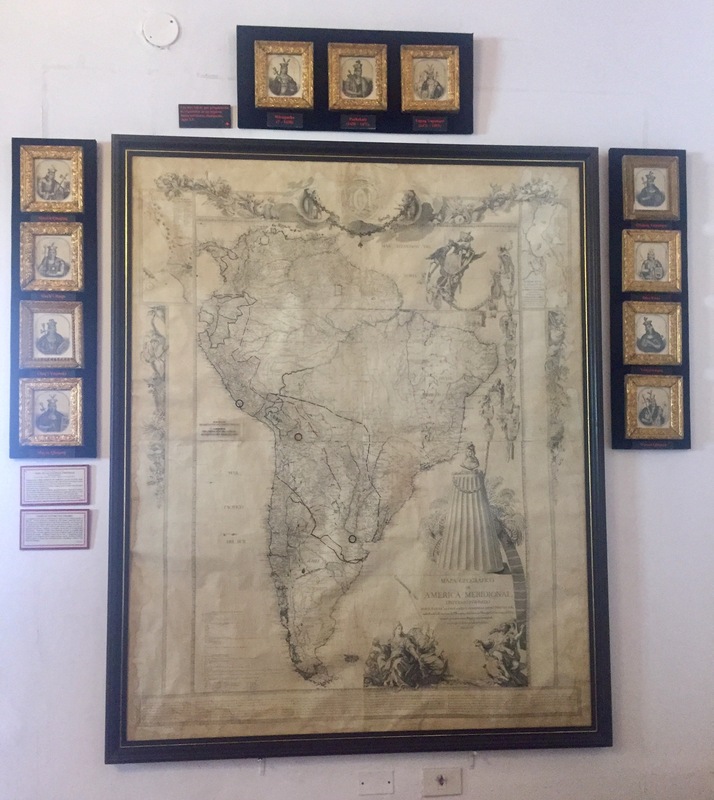 The one museum I did visit, Casa de la Libertad, was really interested and taught me loads about the history of Bolivia. The guide spoke perfect English and shared a lot of information that I hadn’t been able to find elsewhere in the country. 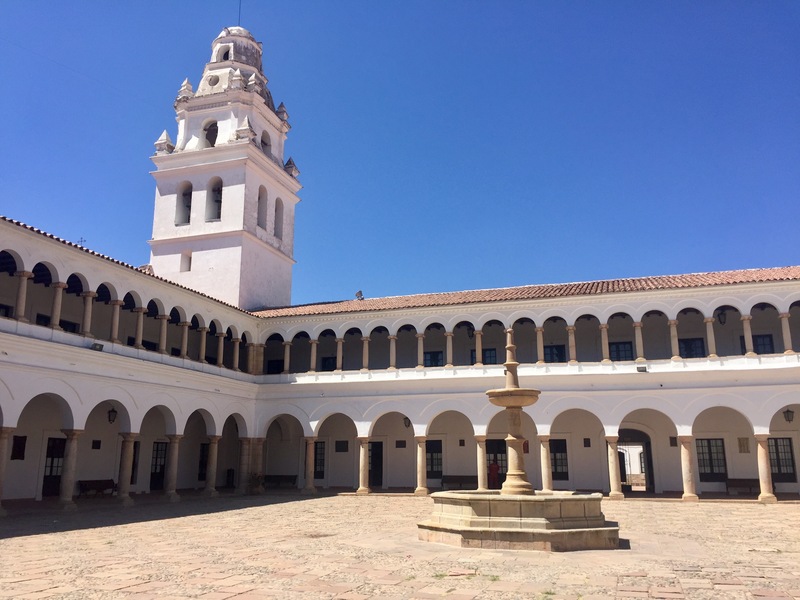 Sucre holds the oldest university in South America, dating back to the 1600s. The city used to be the capital until a civil war with La Paz; it lost and subsequently lost it’s power too. 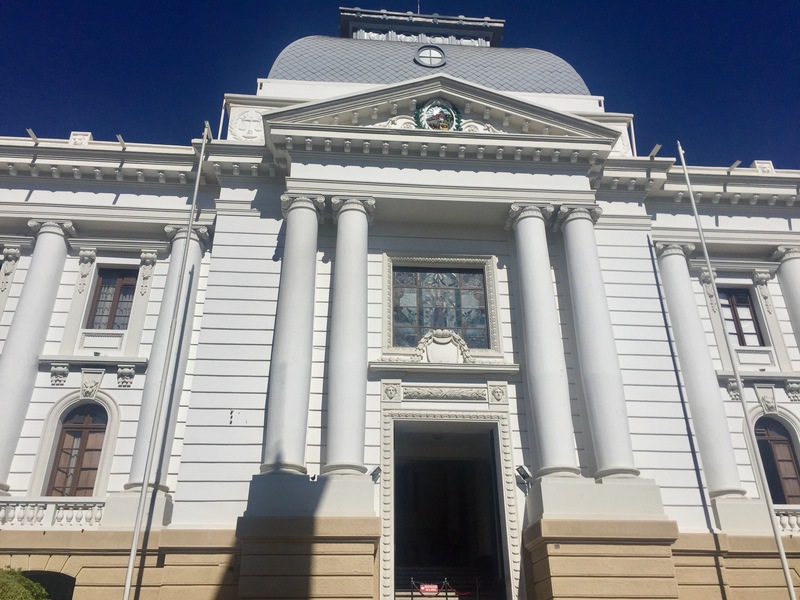 The city still retains the national Supreme Court – the judicial centre of the country but the political power and the president’s palace moved to La Paz. The museum also holds one of two original Argentinean flags from its creation. The guide also explained about the many international wars Bolivia has had with this neighbours, Peru, Chile, Brazil and Paraguay, losing all and shrinking land mass considerably over time. 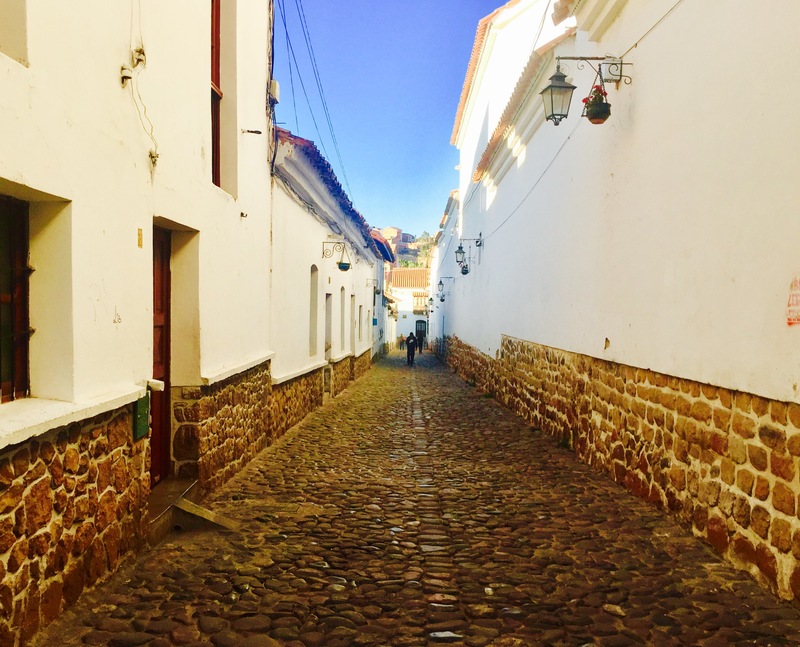 The history of the country has interested me throughout my stay in Bolivia and Sucre was the answer to a lot of questions I’d had. 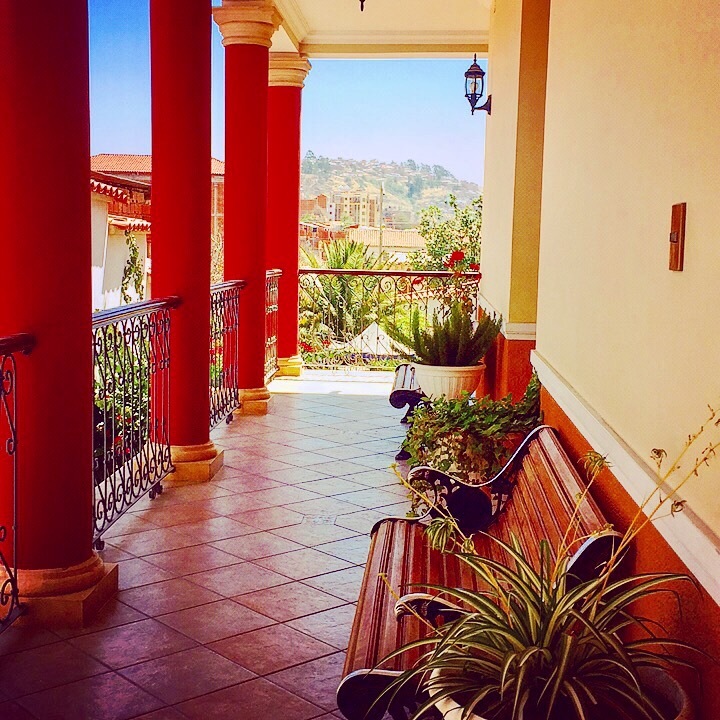 The hostel I stayed in also made my stay in Sucre relaxing and helped me to get over the illness and fatigue I’d picked up recently. Villa Oropeza Guesthouse really felt like a villa instead of a hostel, the staff were helpful and friendly, the rooms were nice and clean, the WiFi was strong (especially for Bolivia) and the bunk beds even had curtains for privacy. Most of all it was easily affordable at £5 a night. Finding a nice hostel is definitely an art and although I’d like to stay somewhere sociable, I’ve decided I like quiet, sophisticated hostels too. Sucre is definitely a place I would recommend visiting and there’s possibilities to do a lot more with treks starting here to some great scenery nearby – unfortunately there weren’t any groups going on the day I signed up so I had to move on to the next stop on my trip. But getting ahead of the schedule leaves me more time for Patagonia so I’m happy about that.